Winner of the Pulitzer prize in 2013, Caroline Shaw has been a busy musician in the years following, performing as a vocalist with Roomful of Teeth (which recorded her prizewinning work Partita), violinist with ACME, and recording with Kanye West (yes, that Kanye West!). Shaw’s versatility and abundant creativity has kept her in demand for new commissions. Despite all this, Orange is the first portrait CD of her music. It is the first recording in a new partnership between Nonesuch and New Amsterdam Records. Given her own string instrument background, it seems especially appropriate that the CD contains chamber works performed by the estimable Attacca Quartet. Shaw frequently evokes the work of earlier composers in her own music, with snippets reminiscent of Beethoven and Bach in Punctum, Dowland’s consort music in Entr’acte, and Purcell in Ritornello 2.sq.2.j.a. But this channeling of the past never feels like pastiche or ironic critique. The composer’s juxtapositions instead seem celebratory in character. The adroit deployment of a plethora of styles, from earlier models to the postminimalism, totalism, and postmodern aesthetics of more recent music accumulate into a singular voice; one buoyed by keen knowledge of the repertoire and flawless technique in writing for strings. The latter quality is amply displayed in Valencia, in which pizzicato, sliding fiddle tunes, and high-lying arpeggios combine to create a fascinating, multifaceted texture. Entr’acte uses a lament motive as its ostinato, building from a simple descending chord progression to rich verticals and, later, plucked passages redolent in supple harmonies. Punctum builds rich chords to contrast repeated notes and undulating repetitions. Plan and Elevation is a multi-movement work that celebrates gardens, “the herbaceous border” that outlines them, trees, and the fruit that they bear. These pastoral images inspire some of the most beautiful and expansive music on the CD. Once again, a descending minor key ground is a significant part of the piece’s organization, appearing in multiple movements. The album’s closer, Limestone and Felt, is a one-movement miniature for viola and cello, combining pizzicato, percussive thumps on the bodies of the instruments, and several canons. It serves as an excellent encapsulation of the simultaneous joy and rigor that embodies so much of Caroline Shaw’s music. Saxophonist/flutist/composer Anna Webber, a thirty-five-year-old who has already won a Guggenheim Fellowship and numerous other plaudits, makes her Pi Recordings debut with Clockwise.Joined by an estimable group of avant-jazz musicians – pianist Matt Mitchell, Jeremy Viner playing tenor saxophone and clarinet, trombonist Jacob Garchik, cellist Christopher Hoffman, bassist Chris Tordini, and percussionist Ches Smith-Webber plays tenor saxophone and flute on the CD. Her compositions are mostly extrapolations of pieces for percussion by twentieth century classical composers Morton Feldman(King of Denmark), Iannis Xenakis (Persephassa), Edgard Varése (Ionisation), Karlheinz Stockhausen (Zyklus), Milton Babbitt (Homily), and John Cage (Third Construction). Employing percussion music to organize musical structures yields fascinating and fertile hybridized compositions. Array, based on Babbitt’s Homily, a solo piece for snare drum, uses the score’s serialized dynamics and attack points to craft a welter of overlapping arpeggiations inhabited by the entire group. King of Denmark is visited in three different incarnations on Clockwise, the first lifting off with a bracing hail of noise-inspired multiphonics before moving into an undulating groove that positions the rhythm section front and center. The second features an introduction in which Smith plays glissandos on timpani alongside chiming interjections. This is succeeded by a sultry main section, pitting walking lines from Tordini against microtonal winds. King of Denmark III is the briefest trope on Feldman, juxtaposing a roiling arco solo from Tordini against saxophones overblown. The title track takes the modularity of Stockhausen’s original as a cue for its own set of disparate, time-linked sections. Cage’s Third Constructionis channeled on Hologram Best, which features angular saxophone and brass lines in ebulliently spinning motion. Idiom II is the sole track on the disc to be composed with Webber’s own material. Near unison saxes, just slightly out of sync, create a loping tune that is punctuated by thrumming percussion and bass notes. Gradually, the rhythm section exerts a more intrusive presence that rivals the saxophone ostinato. Ultimately, the head is banished in favor of a saxophone-piano duet, in which Mitchell plays from an attractive palette of complex harmonies. Inexorably, the saxophones push back. Now no longer in near-unison, deployed in counterpoint, they take a break of their own that is only gradually infiltrated by the rhythm section. The final section of the piece features ostinatos again, this time with blocks of reeds, harmonizing the original tune, taking the front line in the proceedings while the rhythm sections positively roars its propulsive support. A brief reappearance of the head ensues, and then the door slams shut on the most compelling music of the recording. Varése and Xenakis inspire the works Kore I and Kore II. The latter opens the disc with undulating pizzicato strings that are eventually joined successively by flute, piano, and the rest of the ensemble in an off-kilter, post-tonal dance. Kore I closes the recording with another pileup of material, starting from pianissimo feints from the rhythm section and eventually building to a portentous moto perpetuo in which solos from Tordini, Webber, and Garchik are finally subsumed into a furious tutti coda. Whether Webber is exploring avant-garde classical masters or paving her own pathways, she proves to be a compelling creator. Her collaborators, to a person, are stellar. Clockwise is heartily recommended. NEW YORK – On February 10th, the Boston-based early music ensemble Blue Heron made one of its regular appearances at the Music Before 1800 series at Corpus Christi Church in Morningside Heights. Directed by Scott Metcalfe, an ensemble of a dozen vocalists performed five selections, all votive antiphons, from the Peterhouse Partbooks. Copied by John Bull during the reign of Henry VIII, the partbooks now reside at Peterhouse College of Cambridge University. The tenor book is missing, as are large sections of the treble book, but musicologist Nick Sandon has spent his career reconstructing pieces from the collection. Apart from a few performances and recordings made by British and Canadian ensembles, Blue Heron have been the principal advocates for this rediscovered cache of polyphonic music written for the Catholic Church. Bull compiled the music just a few years prior to the establishment of the Church of England, which brought with it entirely different liturgical practices that rendered the music obsolete. Many partbooks were destroyed during the ascendency, successively, of Anglicanism and Puritanism. This makes Sandon’s contribution all the more noteworthy, in that it restores enough music to significantly add to the choral repertoire available from the pre-Reformation period. Blue Heron recently released The Lost Music of Canterbury,a five-CD boxed set of music from the Peterhouse Partbooks with selections by a range of composers, from the well-known Nicholas Ludford to the entirely obscure Hugh Sturmy. The quality of both the music and recorded performances is extraordinarily high. Blue Heron have a beautiful sound custom crafted for this repertoire and display impeccable musicianship. Sadly, none of the antiphons presented on the Corpus Christi concert have yet been recorded by Blue Heron. Indeed, there is a massive amount of music left in the Peterhouse collection yet to be documented. While the group has moved on to other projects – they are currently at work on recordings of the complete songs of Ockeghem and works by Cipriano de Rore – one hopes that at some point funding might allow them to commit the votive antiphons from the Peterhouse repertoire to disc. They proved most compelling in a live setting. Votive antiphons were extra-liturgical and traditionally performed in the evening, after Vespers and Compline, by a group of singers gathered around an altar or icon. Marian antiphons were most common and were represented on the concert by two pieces, Arthur Chamberlayne’s Ave Gratia plena Maria and Ludford’s Salve Regina. The former is a vibrant piece articulating a thoughtfully expanded trope of the “Hail Mary” text. Described by Metcalfe as “a word salad,” it does indeed contain a great number of independent lines in overlapping declamation. The sole piece attributed to its author, it provided a tantalizing glimpse of the idiosyncrasies permitted during this time of musical innovation and diversity. Ludford’s uses a more traditional text and is gentler in demeanor; as Metcalfe suggested, a valediction wishing those gathered to hear the antiphon a peaceful evening. The other three antiphons invoked various saints. O Willhelme, pastor bone, by John Taverner, was the lone short work here, clocking in at around three minutes; the rest were each about a quarter of an hour in duration. The piece has a fascinating backstory for those who study the history of the Tudors. It was written for Cardinal College, Oxford, where Taverner was instructor of the choirboys, to its patron Saint William, Archbishop of York. It also includes a verse uplifting Cardinal Thomas Wolsey, who founded Cardinal College. Yes, that Cardinal Wolsey, the one who ran afoul of Henry VIII because of his thwarted attempts to obtain a divorce for the monarch. The piece itself is full of Taverner’s characteristic sustained high lines and contains some lovely harmonies. Blue Heron at Corpus Christi Church. Photo: Alex Rainer. One of the composers that Sandon has helped to reinvigorate with his scholarly writings, as well as score restorations, is Hugh Aston. Blue Heron have been champions of Aston since 1999, their founding year. The composer is well-represented on the Lost Music of Canterbury, which, among several pieces, includes his own Marian motet, Ave Maria dive matris Anne, a work of eloquence and fervent yearning: one of the highlights of the CD set. The concert program featured Aston’s O baptista vates Christi, a supplication to Saint John the Baptist. One can see why Blue Heron would like to sing O Baptista: the text asks for protection for the choir, and what choir doesn’t sometimes need protecting? Of course, no such safeguards were necessary at Corpus Christi Church: Music Before 1800 attracts a friendly audience for the group. While the aforementioned antiphons impressed, the most remarkable composition on the program was the first one the group performed, O Albane deo grate by Robert Fayrfax. This piece features prominently in Fayrfax’s output. He also fashioned a setting of it dedicated to Mary, O Maria deo grata, with the same music but different words, and used its material as the basis for his parody mass Missa Albanus. The words here commemorate Saint Alban, traditionally considered the first British Christian martyr. Metcalfe usually allows the music to speak for itself, limiting himself to brief introductory remarks. However, before beginning the performance of O Albane, he gave a short demonstration of just a few of the myriad musical treatments by Fayrfax of the plainchant on which it is based. This proved most illuminating, as one could look forward to hearing the hymn fragment interwoven into the counterpoint at key places in the work. Equally enlightening was Metcalfe’s post-concert talkback, in which he fielded questions on a variety of topics, from Reformation worship practices to score restoration to sixteenth century tuning in England. I look forward to hearing Blue Heron again very soon. On March 9th,I will be making a pilgrimage to Cambridge, Massachusetts, to hear them sing Ockeghem’s Missa Prolationum. Look for coverage here on the site. NEW YORK – Beginning the new year with a six-night long residency at the Village Vanguard, pianist Fred Hersch had a lot to celebrate. 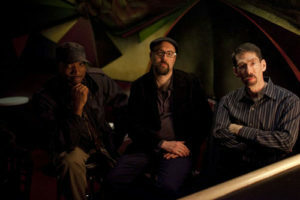 His current trio, in which he is joined by bassist John Hebert and drummer Kevin McPherson, has been together for a decade. They have received a Grammy nomination for their 2018 Palmetto Records CD Live in Europe. In December, Palmetto released another recording of Hersch in a trio setting, this one from 1997 with bassist Drew Gress and drummer Tom Rainey. 97 @ The Village Vanguard is the only live recording of this acclaimed ensemble. The CD also documents Hersch’s debut as a leader at the Village Vanguard. Many celebrations include guests and Hersch’s residency was no exception. For the last three nights of shows, alto saxophonist Miguel Zenón, a Grammy nominee himself and a Guggenheim Fellow and MacArthur Award winner to boot, joined the trio. It proved to be a felicitous pairing. After the trio opened the set with Hersch’s meditative “Plainsong,” Zenón joined them on the pianist’s salsa original “Havana,” sending its sinuous melody soaring and building an exquisitely paced solo. Hebert and McPherson created a fulsome groove. McPherson’s ability to move from the pianissimo textural playing of “Plainsong” to the driving polyrhythms of “Havana” demonstrated versatility that turns on a dime. Hebert keenly targeted his playing too, moving between registers, engaging in melodic colloquy with Hersch, supporting the changes, and acting in concert with McPherson. All of this is even more noteworthy when one considers his uncanny ability to know exactly when and where to provide Hersch’s playing registral space. Hersch’s music is often rhythmically intricate. In addition to the facility of the rhythm section, Zenón proved his mettle in the abstract phrasing and polyrhythmic environments of Hersch tunes “Snape Maltings” and “Skipping.” The latter tune elicited a verve-filled solo from Hersch. The pianist and saxophonist also made great foils for each other, one developing melodic breadcrumbs that the other had strewn in a previous solo. Zenón’s playing had a bite in the post-bop material, but was smooth and suave in the Lerner and Loewe’s “I’ve Grown Accustomed to Her Face.” Zenón’s composition “Temes” was an engaging part of the set, and it was fascinating to hear Hersch go to town on material new to him, displaying a vivid imagination. Hersch frequently writes compositions in homage to other jazz artists. “Lee’s Dream” is a contrafact tune, using the changes of Nacio Herb Brown’s “You Stepped Out of a Dream” with a new melody. It is dedicated to Lee Konitz. “Monk’s Dream” is dedicated to Thelonious Monk. During his set at the Vanguard, Hersch had Monk in mind. The closer was a one-two punch of the pianist’s harmonically inventive version of “Round Midnight,” followed by the group playing a rousing rendition of “Let’s Cool One.” Obliged by applause to share an encore, Hersch chose Billy Joel’s “And So it Goes,” starting in eloquent simplicity and then transforming the tune with intriguing modulations into a Chopin-esque reverie. The sold-out crowd seemed delighted to share in the celebrations. 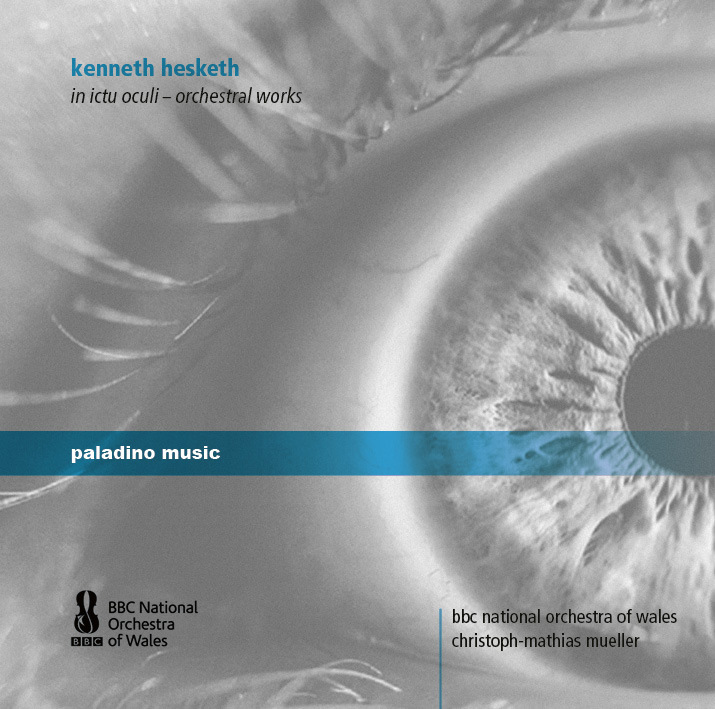 Three large orchestra works by British composer Kenneth Hesketh are attractively scored in multifaceted, often muscular, fashion. Hesketh’s unabashed exploration of emotionality, imbued with strongly etched motives and intricate formal designs, provides a cathartic journey for listeners. 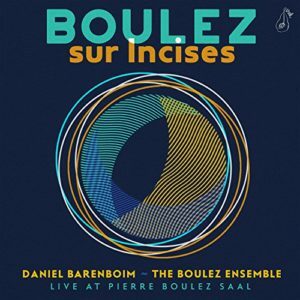 There is a previous, much vaunted, studio recording of Pierre Boulez’s composition Sur Incises (1998), one of the composer’s most highly regarded late works (in the year of its premiere, Sur Incises won the Grawemeyer Prize). 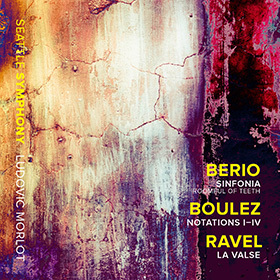 This 2018 rendition of the work was performed live at a new space dedicated to Boulez, the Pierre Boulez Saal in Berlin. Acoustically marvelous, it is perhaps the ideal location in which to hear the composer’s music. 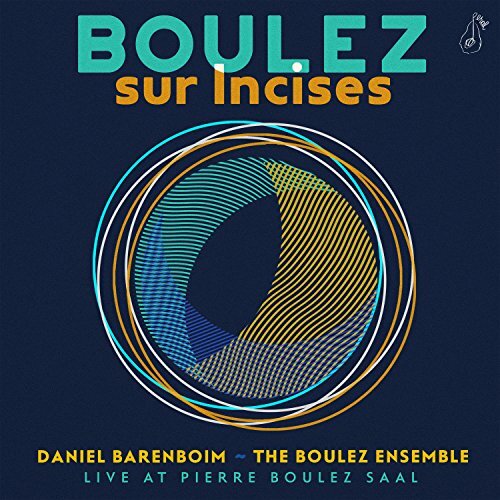 Barenboim is one of Boulez’s great champions, and the ensemble gathered here play it with supple rhythms (slightly less ‘incisive’ than the studio version, but warmer in affect). 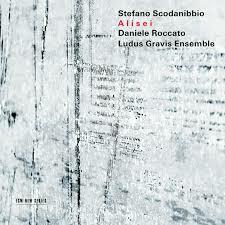 They also deftly shape Sur Incises’ labyrinthine form to provide musical “bread crumbs” along its myriad pathways. Composed in 1968-’69 for the New York Philharmonic and the Swingle Singers, Luciano Berio’s Sinfonia helped to herald postmodernism in music. Roomful of Teeth has now done the piece with the Philharmonic, providing a new generation of performance history for Berio. It is excellent to have Roomful of Teeth’s performance of Sinfonia documented in a superlative outing with the Seattle Symphony and Ludovic Morlot. The orchestra is equally scintillating in Pierre Boulez’s long gestated modernist masterpieces Notations I-IV. The disc is capped off with a rollicking rendition of Ravel’s La Valse. Even with an ensemble as fine as the Boston Symphony, it is hard to believe that this is a live recording. Seamless transitions, admirable dynamic shading, gorgeous sounding strings, and exceptional playing by the brass section. Nelsons has a great feel for Shostakovich’s music. David Alan Miller has long been a staunch advocate of contemporary music, recording a number of discs of new works with the Albany Symphony. The National Orchestra Institute Philharmonic’s young players, aged 15-21, are a fantastic ensemble in their own right. 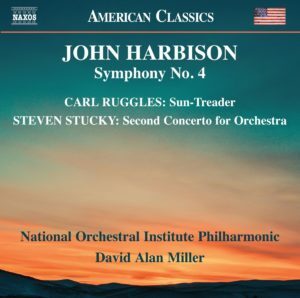 Their rendition of Carl Ruggles’ Sun Treader is up there with the Buffalo Philharmonic Orchestra and Michael Tilson Thomas on the complete works recording; and that’s saying something. Recently departed composer Steven Stucky created a fluently retrospective piece when composing Concerto for Orchestra No. 2 (2003); the piece won the Pulitzer Prize in 2005. It includes quotations from a host of great composers as well as ample amounts of music in Stucky’s masterful contemporary voice. Composed for the Seattle Symphony and Gerard Schwarz in 2003, John Harbison’s Symphony No. 4 is one of his most compelling pieces in the genre. 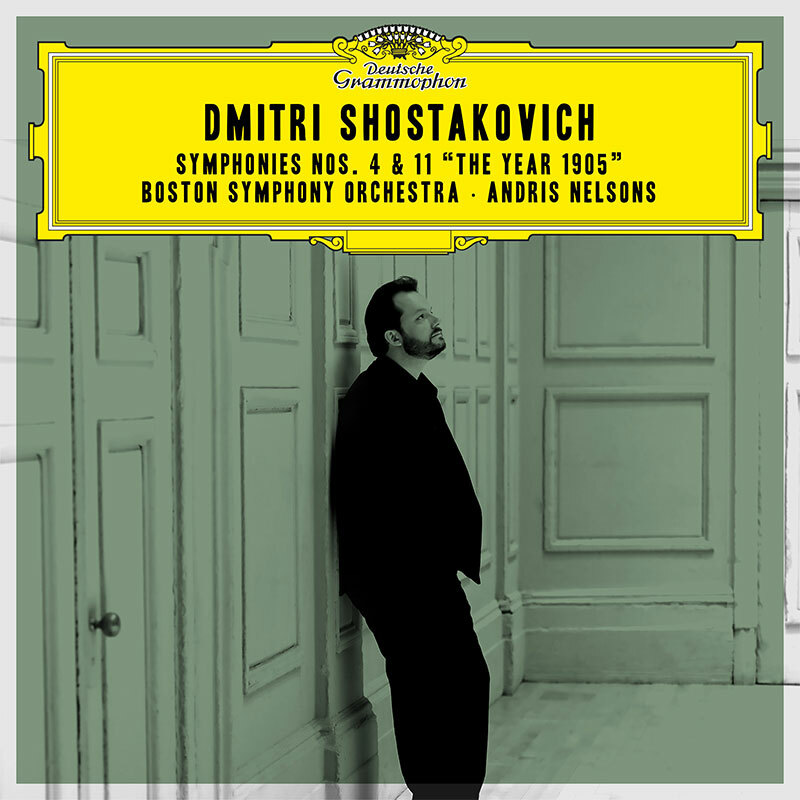 In the debut recording, the Boston Symphony’s rendition of the symphony took a fairly edgy approach. Miller elicits something more lissome from the NOI players. 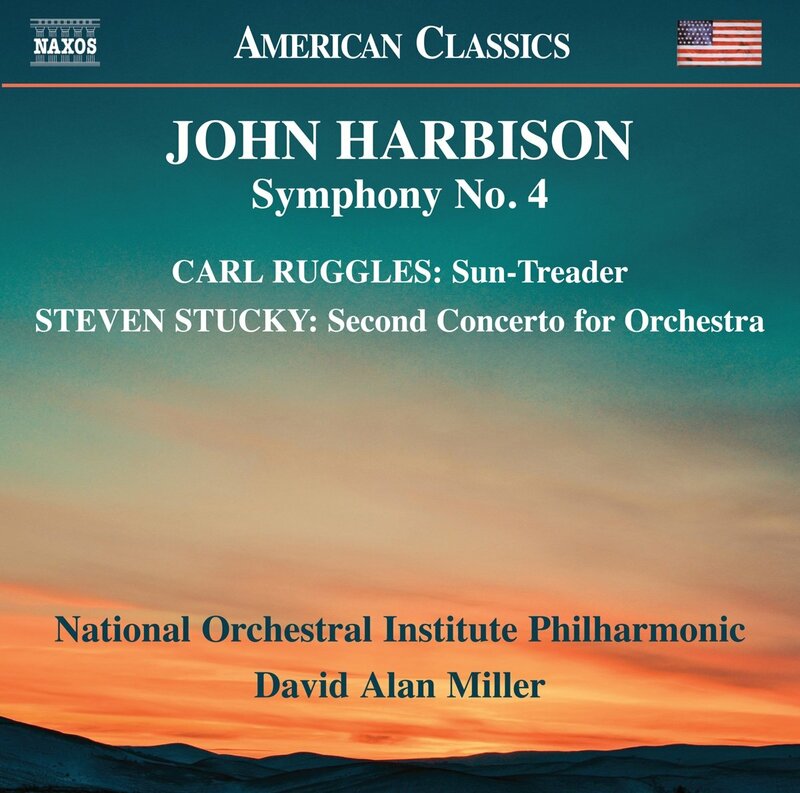 Both versions make an eloquent case for Harbison’s piece. 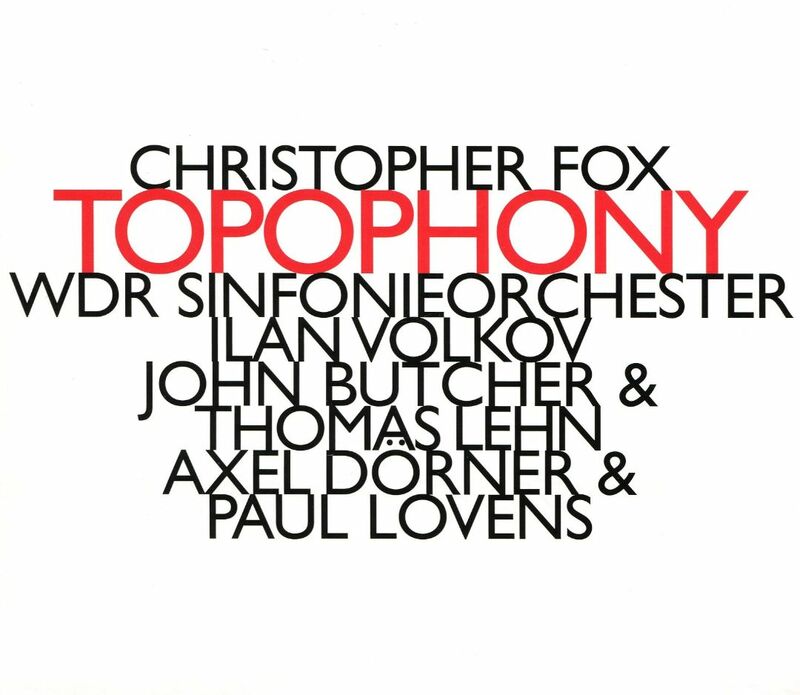 Christopher Fox’s orchestral work Tophophony accommodates both renditions for orchestra alone and with improvising soloists. 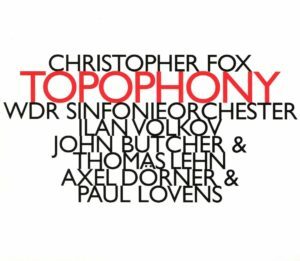 The WDR Sinfonie-Orchester, led by Ivan Volkov, record three different versions of the piece. By itself, Topophony has a Feldman-like, slow-moving, and dynamically restrained surface. It provides fertile terrain for both the duos of trumpeter Alex Dörner and drummer Paul Lovens and saxophonist John Butcher with synthesizer performer Thomas Lehn. All three versions are absorbing: it’s fortunate one doesn’t have to choose between them. This is the best recording of David Diamond’s music since the iconic CDs by the Seattle Symphony under the baton of Gerard Schwarz. 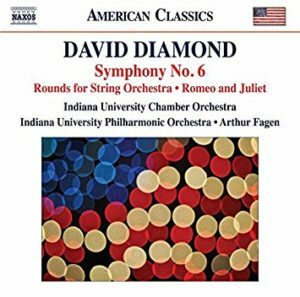 Indiana University has long had one of the best music departments in the country, but they outdo themselves here, with a brilliant version of Diamond’s Rounds for String Orchestra and nimble phrasing in his Music for Romeo and Juliet. But it is Symphony No. 6 (1951) that is the star of this CD. Those who relegate all of Diamond’s music to American romanticism (which, admittedly, is a fair assessment of some of his work) are in for a surprise from this bold, Copland-esque work. Indeed, when I was a student at Juilliard, Diamond proudly told me that his ballet Tom predated Copland’s adoption of an Americana style. With Symphony No. 6, Diamond made a strong case to have his work set alongside the “usual suspects” in the genre. 2018 is the hundredth anniversary of Lessons and Carols at King’s College (and ninetieth year of radio broadcasts of the event). 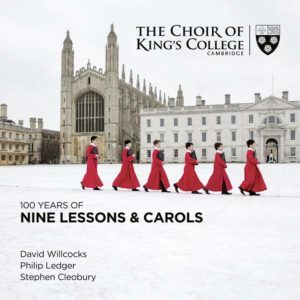 In order to celebrate, the Choir of King’s College has released a two-CD set of some of their most famous offerings from broadcasts over the years, as well as new music commissioned for the occasion. The release also celebrates Director Stephen Cleobury, who will be stepping down after an illustrious tenure with the group. Through the years, King’s consistent, extraordinarily high level of singing is truly dazzling. 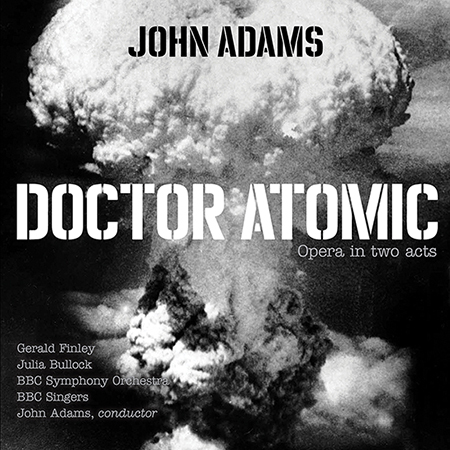 The Nonesuch recording of Dr. Atomic, an opera about the atomic bomb test at Los Alamos, is the first audio release of this 2005 collaboration between composer John Adams and director/librettist Peter Sellars. The text is assembled from letters, declassified documents, and poetry (the first test’s site was named Trinity by Robert Oppenheimer, after a John Donne poem). An integral component of the love scene between the Oppenheimers (played by Gerald Finley and Julia Bullock) is a poem by Muriel Rukeyser. An island of respite in the midst of the intensity of the test countdown, it is some of the most affecting music written by Adams. Elsewhere, the orchestra and singers are given plenty of opportunities for fiery declamation. The large ensembles work on many levels, expounding the famously divergent historical viewpoints surrounding the test, ratcheting up the intensity until the inevitable big boom. Adams conducts a powerful performance of his most visceral work. 2018 saw the release of a bevy of excellent recordings of music by contemporary composers. These were the portrait CDs that most frequently captivated my ear and captured my CD player. 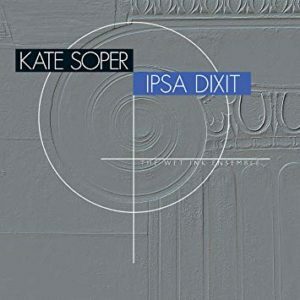 Composer and vocalist Kate Soper spent from 2010-’16 creating the multi-movement theatre piece Ipsa Dixit. Working in close collaboration with Wet Ink Ensemble, she has crafted a composition in which theatricality encompasses multiple texts – ranging from Aristotle to Lydia Davis – and the ensemble plays “roles” as well as formidable musical parts. Recently presented in an acclaimed staging at Miller Theatre, Ipsa Dixit is perhaps best experienced live. However, the audio recording captures Soper and Wet Ink in a dynamic, versatile performance. Whether speaking, singing, or, even in places, screaming, Soper is an expressive, indeed captivating, vocalist. Italian composer Osvaldo Coluccino created a series of Emblema pieces for a commission by the Gran Teatro Fenice in Venice. Slowly unfurling, sustained pitches, deft employment of overtones and harmonics, and varied textures populate the works. On Coluccino’s Kairos portrait CD, the Ex Novo Ensemble performs them with attentive delicacy. One can hear echos of great composers such as Feldman, Scelsi, and Nono in these elliptical emblems, but it is the ghost of Webern that looms largest. JACK Quartet released a number of fine recordings in 2018, but the one to which I keep returning is their Albany CD of Laura Schwendinger’s string quartets. These feature richly hued harmonies, seasoned with dissonance, and are superbly paced throughout. Schwendinger’s music is some of the most eloquent work in a post-Schoenbergian aesthetic currently being composed. JACK’s performances of them are a detailed and engaging listen. Jamie van Eyck joins them for Sudden Light, a stirring vocal work. A faculty member at Manhattan School of Music, Reiko Füting’s distance song features performers who are MSM alumni as well as European ensembles. An amalgam of various styles and materials notwithstanding, Füting displays a strong hand and clear-eyed perspective throughout. After an introduction of thunderous drum thwacks, AuditiVokal Dresden and Art D’Echo perform “als ein licht”/extensio and “in allem Fremden” – wie der Tag – wie das Licht with marvelous close-tuned harmonies and suspense-filled pacing. Gradually the percussion is reintroduced at varying intervals to provide a foil for the singers. loadbang and the Byrne:Kozar Duo, the aforementioned MSM contingent, perform Mo(nu)ment and Eternal Return (Passacaglia), two pieces featuring microtones and extended techniques alongside Füting’s penchant for off-kilter repetition. The Dutch ensemble Oerknal performs Weg, Lied der Schwänd, in which both spectralism and quotation (of a madrigal by Arcadelt) are explored: yet two more facets of the composer’s palette. Versinkend, versingnend, verklingend adds the vocal group Damask to Oerknal for a piece that combines still more quotations, ranging from Debussy’s piano music to a Fifteenth century German folksong. 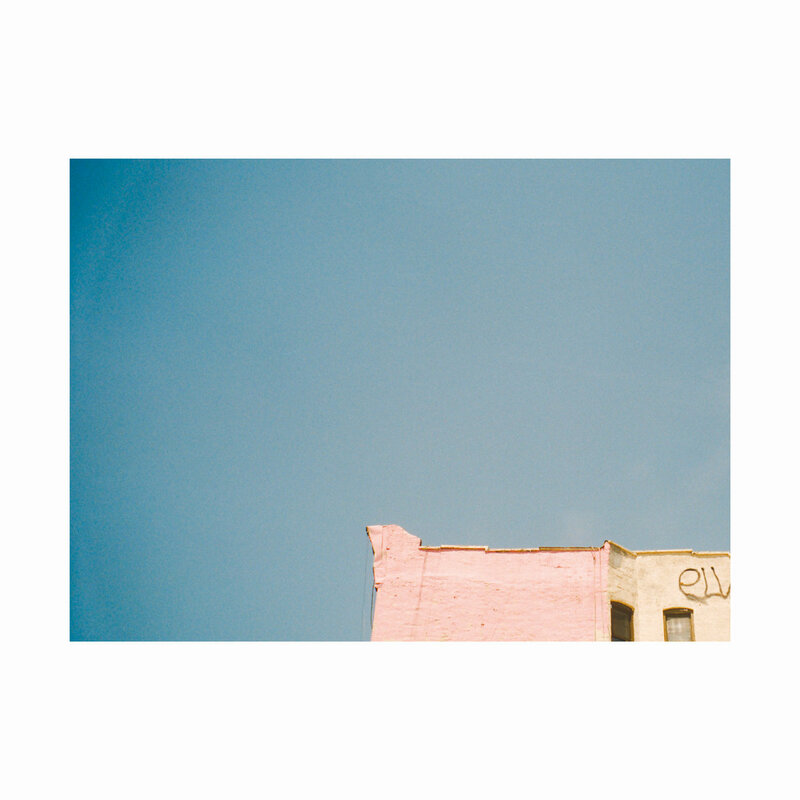 Composer/percussionist Eli Keszler’s Stadium is 2018’s best CD on the sound art, rather than notated, spectrum of composed music. 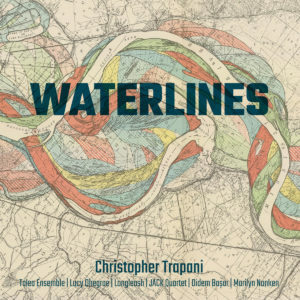 It deftly weaves percussion and electronics together in an atmospheric collection of pieces that lilt and swing in equal measure. While there is plenty of electronica out there using percussion in innovative ways, Stadium incorporates its various sound sources with a composerly sense of organization, where timbre, beat, and, in some places, pitch, are mapped with a rigorous formal sensibility. This CD is ICE’s second portrait recording of Icelandic composer Anna Thorvaldsdottir’s music, and her third portrait CD overall. Yet Aequa truly stands apart from the others. Each piece has a sense of flow, sometimes akin to churning water or rippling wind, and in others to oozing lava. Amid these fluid forms are also found visceral pools of unrest. In his performance of Thorvaldsdottir’s Scape, pianist Cory Smythe affords the listener a generous taste of reverberation and overtones, marked by trebly plucking inside the piano. The interplay of high and low creates ear-catching wide intervals in Illumine. This texture is later followed by corruscating strings. Another standout is the ensemble work Aequilibria, where undulating lines are pitted against static, sustained harmonic series and harp arpeggiations. It has extraordinarily beautiful low woodwind solos. Both of these pieces are conducted, with characteristic verve and accuracy, by Steven Schick. The too-soon-departed Stefano Scodanibbio (1956-2012) was an extraordinary bass player and improviser. He was also a formidable composer, as the works for solo bass, duet, and bass ensemble documented here abundantly attest. Two virtuosic solo pieces, featuring an abundant number of harmonics and other special techniques, are impressively and energetically performed by Daniele Roccato. Roccato is joined by Giacomo Piermatti on Da una certa nebbia, a duo that is both an homage to and invocation of Morton Feldman. The centerpiece of the CD is Ottetto (2012) for bass ensemble, one of the last works Scodanibbio completed before succumbing to motor neuron disease. It is sobering that, due to this debilitating illness, he could no longer play the bass at the time of the work’s gestation. Fortunately, Roccato enlisted a veritable who’s who of European bassists to populate the ensemble Ludus Gravis and, after Scodanibbio’s death, carry the work forward. Ottetto’s recording is a stunning display of the many ways in which this low-end ensemble can be a versatile one, from sepulchral passages to high-lying harmonics, with seemingly every mode of playing in between. The piece showcases the intimate familiarity with his instrument that Scodanibbio developed over a lifetime of practice and playing: an incredible musical valediction. In 2018, Princeton professor Dmitri Tymoczko released not one, but two portrait CDs. The first, Rube Goldberg Variations, features three postmodern chamber pieces performed by estimable ensembles: Flexible Music, Atlantic Brass Quintet with pianist John Blacklow, and the Amernet String Quartet with pianist Matthew Bengston. On I Cannot Follow, broken consort Flexible Music performs the plethora of provided off-kilter postminimal ostinatos with elan. The group lives up to their name when inhabiting the piece’s supple dynamic swells. The title composition is also informed by postminimalism, but is more jazzy in terms of its chord voicings. Tymoczko cleverly tropes Igor in “Stravinsky’s Fountain,” and supplies Nancarrow-esque piano canons in “Homage,” over which sustained detuned brass asserts a grounded rebuttal. S Sensation Something ends the album in a triadic landscape distressed with pitch bends and persistent, biting seconds. Fools and Angels is a different musical statement altogether, featuring vocals, electronics, and, often, an art rock aesthetic. Indeed, there is a Zappa-esque zaniness afoot, in which the composer juxtaposes repurposed madrigals, faux bebop slinkiness, and even risque monologues, amid persistent changes of meter, bellicose soloing, and sci-fi synthetic soundscapes. A who’s who of youthful contemporary classical performers — Mellissa Hughes, Caroline Shaw, Martha Cluver, Gabriel Crouch, Jason Treuting, and Pascal LeBoeuf, to name some — supply earnest and accurate performances of Tymoczko’s kaleidoscopic construction. Rising flood waters in New Orleans as the theme. Alternate tunings, guitar vs. zither. The incomparable Longleash and JACK being given plenty of extended techniques to dig their teeth (and fingers) into. Lucy Dhegrae singing spectralism-inflected blues songs as only she can. 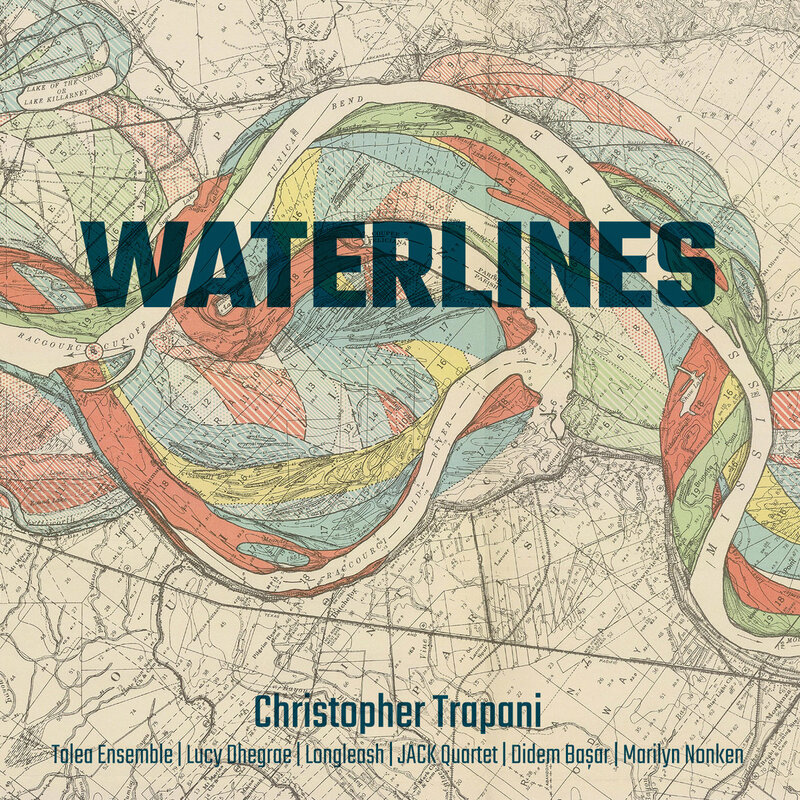 Trapani has a thousand and one good ideas and has enlisted a fantastic slate of performers to realize them. This CD may be one of the few positives to come out of meditating on the catastrophe that was Hurricane Katrina.